Hello everyone! 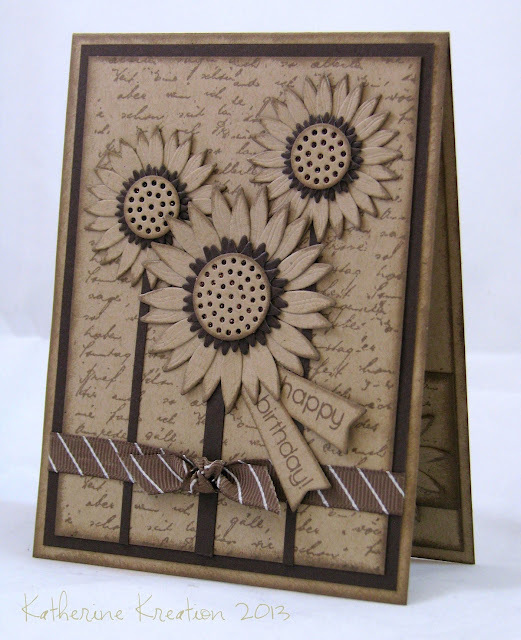 Today the theme over at the Paper a la Mode Outlawz challenge site is MONOCHROMATIC. Be sure to pop over and join in the fun. A dear colleague and friend of mine has a birthday tomorrow and she was the inspiration for this card. 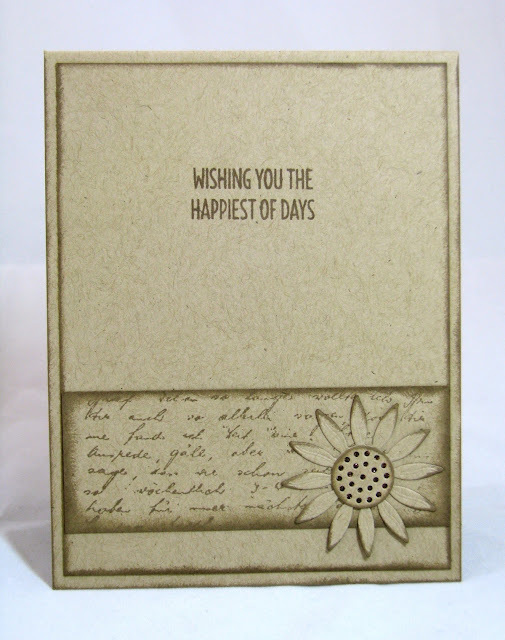 I thought I would stop by and see your card...and say thank you for stopping by my blog and commenting. Your card is a stunner and absolutely gorgeous. I love sunflowers and anyway. I love the monocromatic use of colors and to do it in brown and cream is stunning. Wow that's a wonderful card. I really love the texture of the flowers. This is a fabulous monochromatic card. I love those flowers and that you used them inside and out! 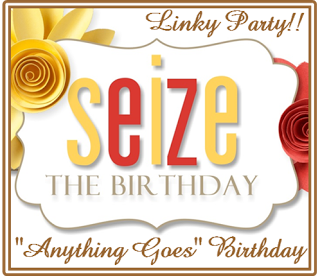 Thanks so much for joining us at Seize the Birthday and trying out our "Toppings" option! Thanks for stopping by and your lovely comments. MFT is my favorite things. Stunning! Love everything about this lovely. Saw you on MIM. Oh what a beautiful card its fabulous too.